But I have never liked that piece of furniture and I always thought that it was a temporary solution. 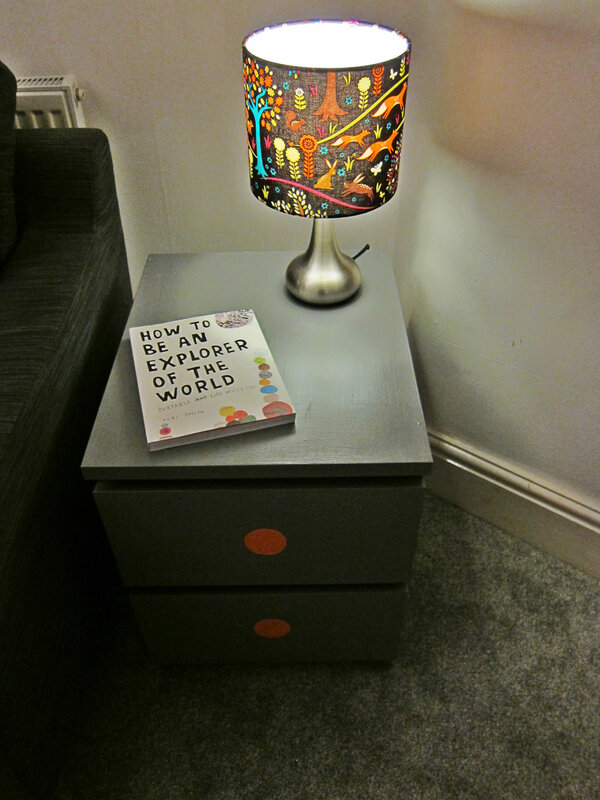 In the last 18 months, I looked for a side table to replace it but didn’t find anything I really liked yet. Until I looked at our cabinet with new eyes, and stopped seeing it as a dull Ikea piece, but as a future colorful and unique one. In less than a day, I sanded it, painted a base coat and added colours. In just a few hours, I turned this cabinet that I had disliked for over a year, in something I love and I am proud of. What about you? Have you got pieces of furniture you don’t like? Have you considered upcycling them? 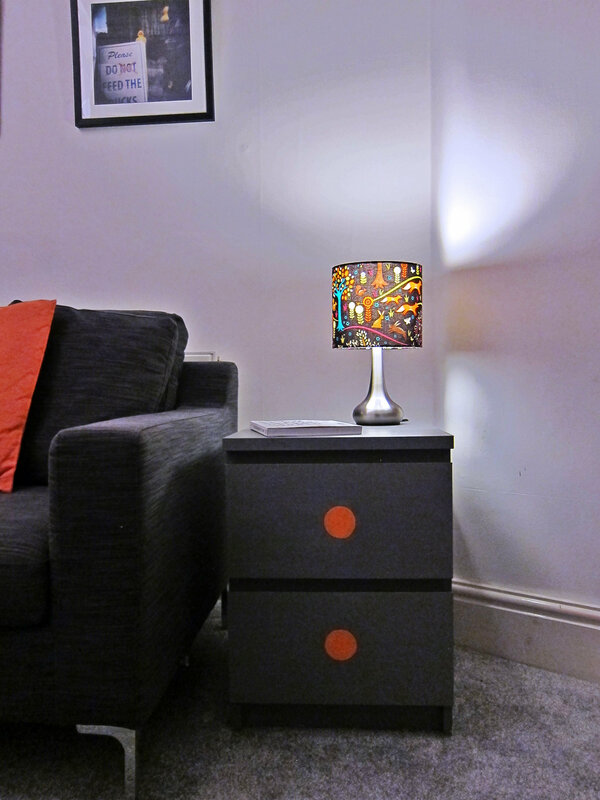 Note: the table lamp is home-made and I blogged about it in my last post. And the book is the great ‘How to be an explorer of the world’ by Keri Smith and I will talk more about it in a future post.